Motorsports legend Bill Simpson will serve as a VIP tour guide for selected groups of race fans Thursday Aug. 30, hosting two “Kiss the Bricks” tours for the IMS Museum. 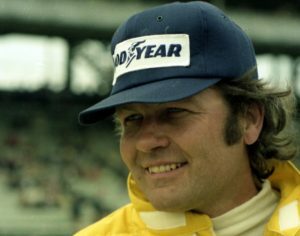 Simpson, a 1974 Indianapolis 500 starter and legend in the motorsports industry for his revolutionary safety products, will be the featured host for Kiss the Bricks tours of the Indianapolis Motor Speedway at 11:30 a.m. and 12:30 p.m. (ET). Tickets for the Simpson-led tours are $30 per person, and $10 from each ticket will be donated to the Southside Animal Shelter in Indianapolis. Contact the IMS Museum at bbobay@brickyard.com or call 317-492-6784 to reserve your seats. Kiss the Bricks tours include a lap around the world-renowned 2.5-mile IMS oval, via bus or tram. The highlight of the tour, which normally lasts 20-30 minutes, is a stop at the famed “Yard of Bricks” at the IMS start/finish line – a 3-foot strip of the original, 1909-vintage paving bricks used to pave the Speedway. Tour guests are invited to exit the vehicles, walk the track surface near the start/finish line and kiss the Yard of Bricks, a tradition that each IMS race winner has renewed since NASCAR driver Dale Jarrett and his crew chief, Todd Parrott, started it after winning the Brickyard 400 in 1996. Tickets for the Simpson tours are available on a first-come, first-served basis. Only 31 seats are available per tour. Simpson’s greatest contribution to motorsports has been his commitment to the improvements and manufacturing of a wide variety of safety products – especially driver gear such as helmets, fire suits, gloves, shoes and race car safety belts. He got his start by introducing the drag racing parachute in 1959. 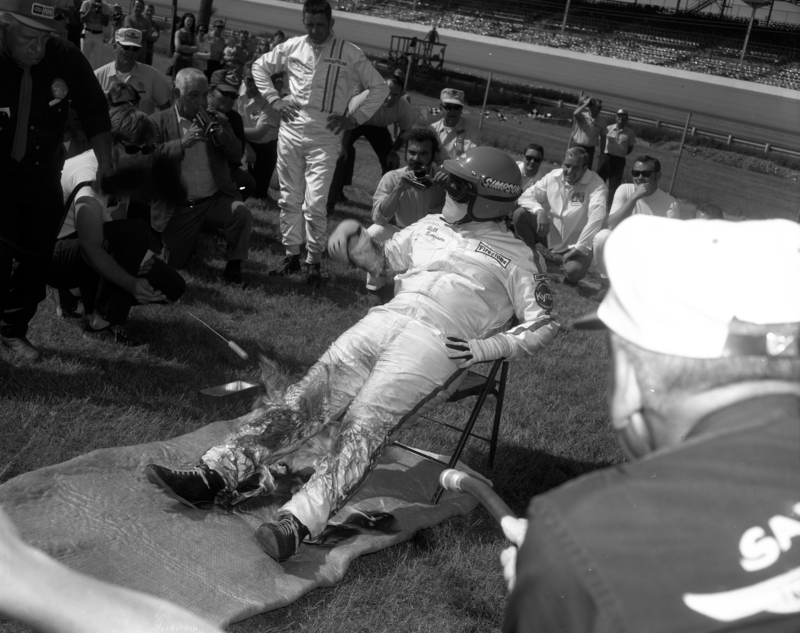 His company, Simpson Race Products, revolutionized driver safety by introducing the fireproof driver’s suit in 1964. Bill Simpson demonstrated its effectiveness several times over the years by being lighted on fire while wearing the suit. Simpson founded a second safety products company, Impact! Racing, in 2002, and sold it in 2010. He was inducted into the Motorsports Hall of Fame in 2003, and the Indianapolis Motor Speedway Hall of Fame in 2014. For additional information on IMS Museum memberships benefits, history, exhibits and tours, log onto www.indyracingmuseum.org or find us on Facebook, Twitter and Instagram.